Antler Baskets Proudly American Made in Minnesota! 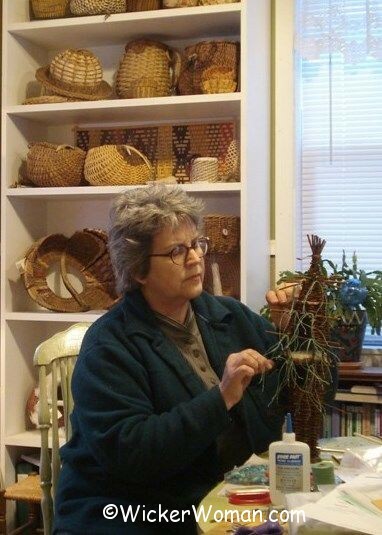 Specializing in creating one-of-a-kind (OOAK), original design antler baskets, antler basket art sculptures and antler basket wall art since 1990, Cathryn’s rib-style contemporary antler basket pieces are a decorator’s dream and a collector’s prize possession. 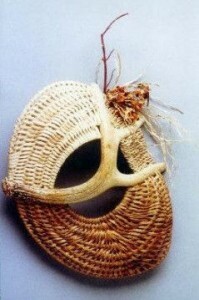 Each creation is lovingly woven to be distinctly unique and different from any others. Calling on her years of weaving and innate sense of shape, color combinations, and texture, Cathryn works with the male antler and the female vessel form blending them into one. 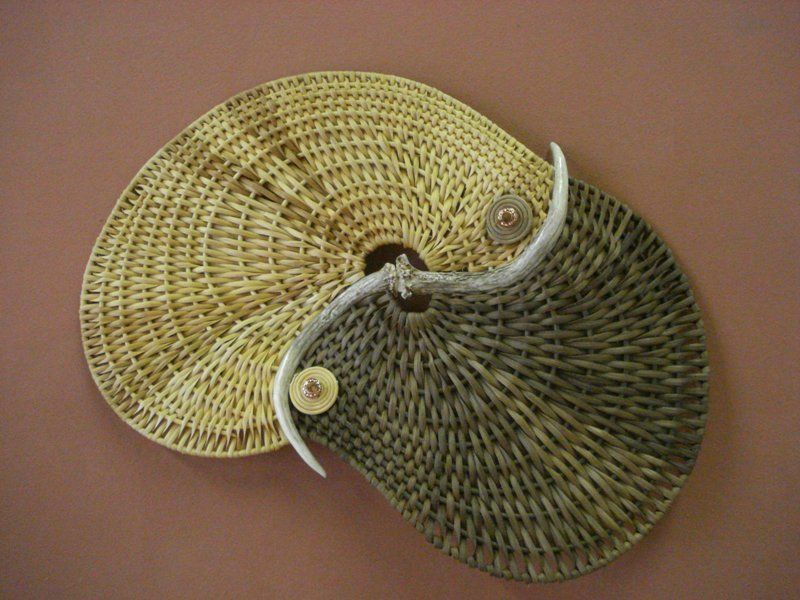 Woven Basket Scupltures Just for You! 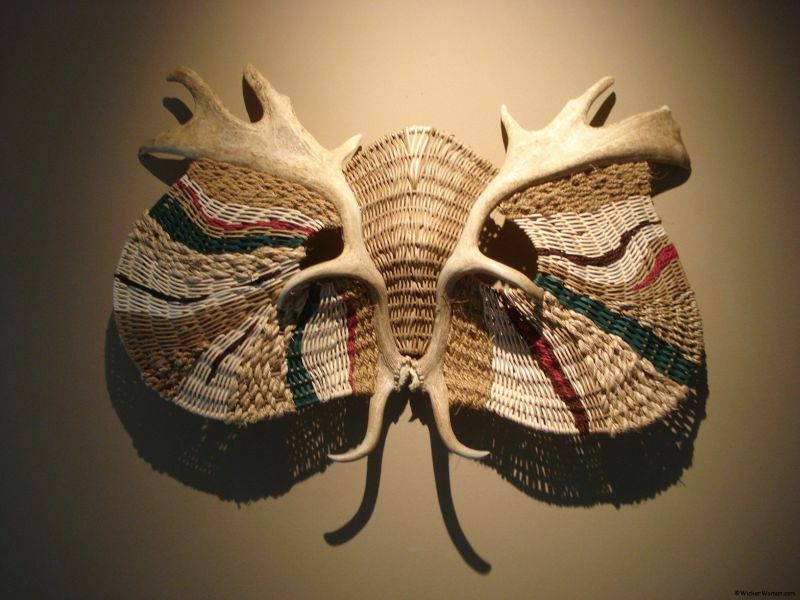 We’re sure you’ll agree these antler basket art pieces are a perfect fit for any decor, adaptable to either a rustic cabin, contemporary home, or corporate office as the perfect decorating accessory or gift. And now they are available for purchase through the website, too. Commission and custom pieces are always welcome, arranged by email or telephone. The Crafts Report, Basket Bits, and Basketmaker magazines as well as the 1999 reprint edition of Splint Woven Basketry by Robin Taylor Daugherty all featured Cathryn’s natural, organic woven antler art. Her baskets are also in many private collections, regional and national galleries and exhibitions. 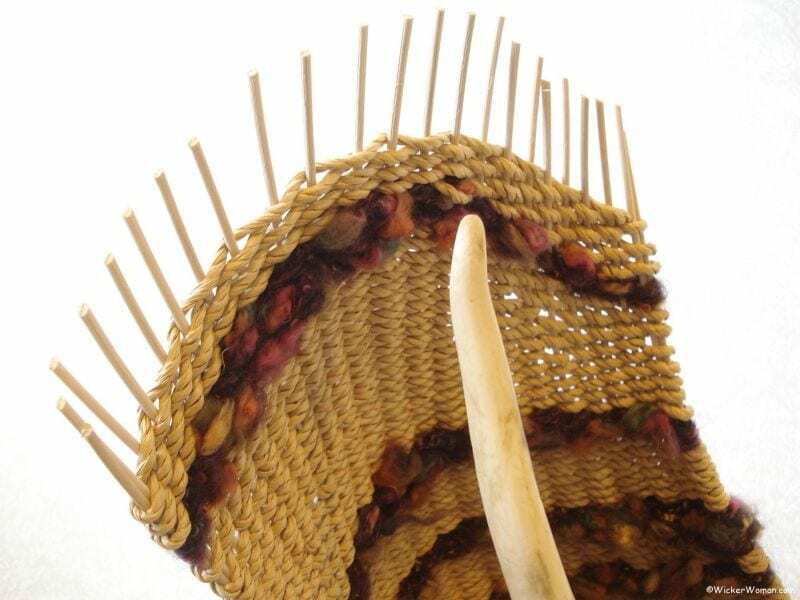 Click here for Cathryn’s artist statement about her passion for antler basketweaving and here to read her resume. A variety of naturally shed and harvested deer, moose, reindeer and elk antlers are used in each one of Cathryn’s antler basket sculptures. The antler is an integral component, becoming either the handle or focal point of all of her creations. Each antler tells its story and “speaks” to her, suggesting the form it wants to take. 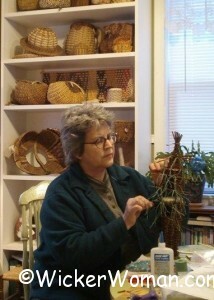 Cathryn respectfully hand-gathers natural, sustainable materials such as cattail leaves, sweetgrass, birch bark, wild willow, diamond willow, willow bark, lichen, moss, pine cones, tamarack branches and cones and red osier dogwood from her Northern Minnesota homestead and incorporates them into her baskets along with commercially processed imported rattan reed. 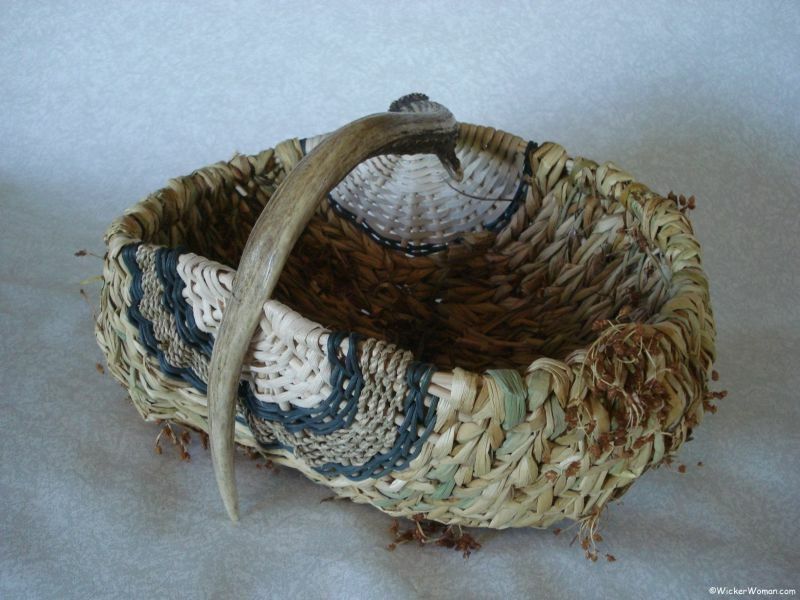 And if you’d like to place an order for a custom designed antler basket to fit your home or office, just visit the Antler Basket Commissions page for great ideas and ordering information. Questions about your antler basket order? Use the drop-down menu on Contact Us! Want to weave your own antler baskets? 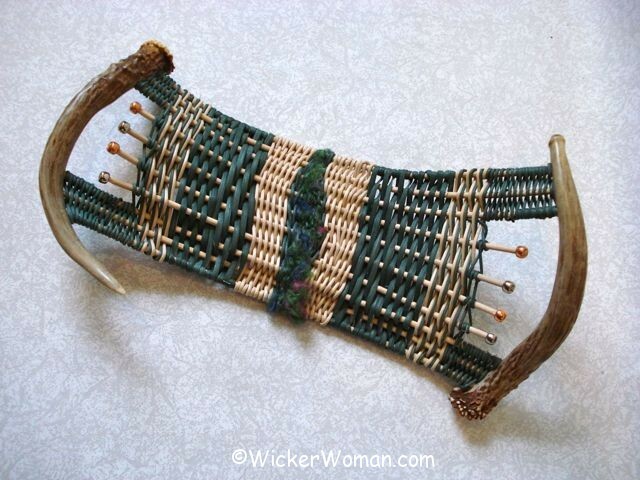 Are you a DIY type basketweaver up for a challenge? 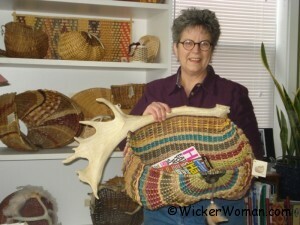 Purchase Cathryn’s antler basket patterns for the help you need to start creating! 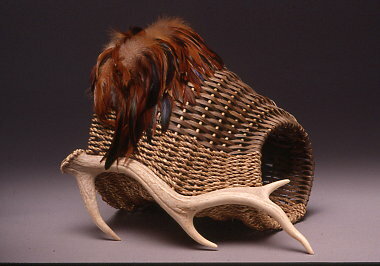 Or do you want/need antler basket instruction? Take one of Cathryn’s Classes or schedule an individual one-on-one private class. We’re delighted you stopped for a visit on the antler basket page of WickerWoman.com ! Come back again soon to see the variety of new antler basket art sculptures woven by Minnesota antler basketmaker, Cathryn Peters.